Stop & Shop workers across New England went on strike on Thursday afternoon, as they neared two months without a contract. In the Stop & Shop location on Mineral Spring Avenue in North Providence, there were groups of close to 20 protesting workers standing outside both entrance doors at about 1:15 p.m. The doors to the store were locked. Among the striking workers outside the Mineral Spring Avenue store was Steve Rhault, a meat manager. Amanda Hurley, of Lincoln, and her 3-year-old son, Darryn, were in the North Providence Stop & Shop gathering cheese balls, Arizona Green Tea and more than $300 worth of other groceries when the workers walked off the job. 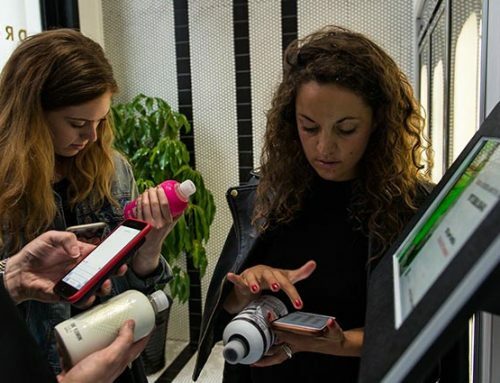 “I’m assuming, for a little bit, I don’t know how long, I’ll have to find another store,” Hurley said. 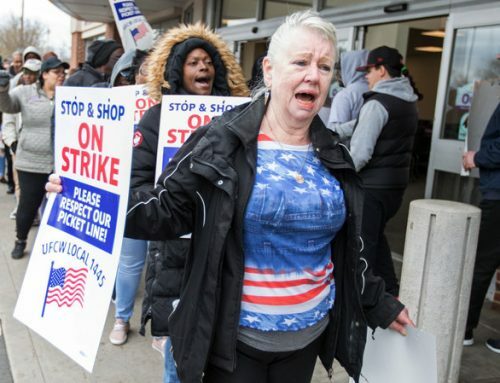 The union representing 31,000 Stop & Shop workers in New England has been negotiating a contract with company since this winter. 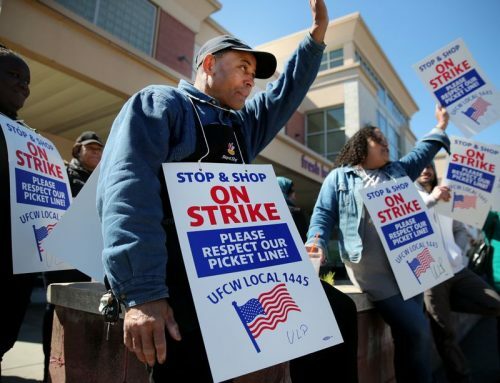 Workers at stores in Rhode Island, Massachusetts and Connecticut walked off the job this afternoon in protest of Stop & Shop’s “final” proposal offer, the union said in a press release. The union maintains that the company is “demanding unreasonable wage and benefit cuts” and asking customers to do more of the work themselves. The union asked a federal mediator to step in at the end of March after rejecting the company’s final offer. 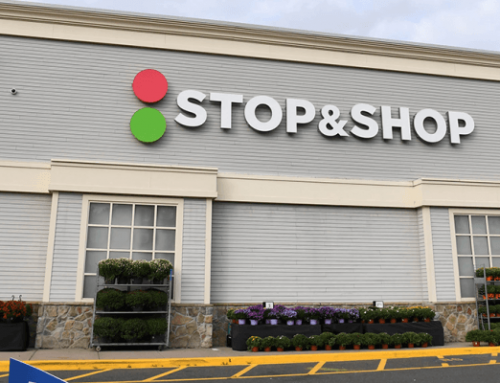 Stop & Shop, on its website, said it has proposed “a good and reasonable offer” that includes, “across-the-board pay increases for all associates,” and continued health-care benefits for all eligible employees. The company claims their employees would contribute “a fraction of what employees at other retail companies pay.” The company also says it’s proposed increasing company contributions to the employees pension fund. In its press release Thursday, the union said Stop & Shop’s parent company, Ahold Delhaize, saw more than $2 billion in profit last year and received a U.S. tax cut of $225 million in 2017. The union argued that the company is claiming that cuts are necessary but that it has refused to provide financial information to verify that claim. 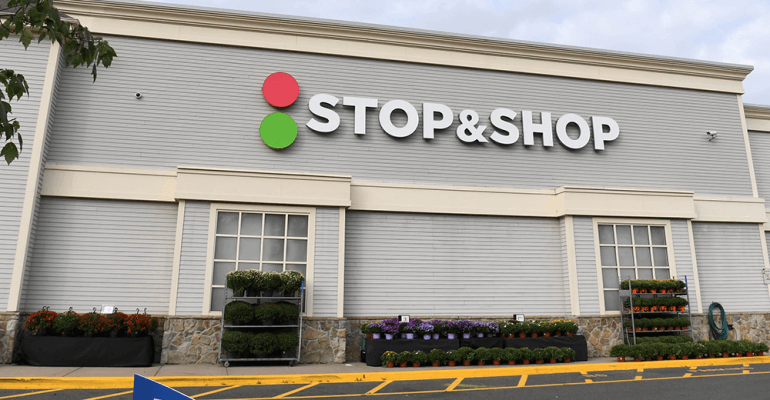 “While Stop & Shop continues to propose drastically cutting worker benefits, Ahold shareholders voted on April 10 to give themselves an 11.1 percent raise in dividends over last year. The expected payout will be on April 25 for around $880 million,” the press release said.